غفوری, عطیه. (1391). امتداد منظر روز در شب؛ برنامه‌ریزی منظر شبانه در پاریس. مجله علمی-ترویجی منظر, 4(21), 40-43. عطیه غفوری. "امتداد منظر روز در شب؛ برنامه‌ریزی منظر شبانه در پاریس". مجله علمی-ترویجی منظر, 4, 21, 1391, 40-43. غفوری, عطیه. (1391). 'امتداد منظر روز در شب؛ برنامه‌ریزی منظر شبانه در پاریس', مجله علمی-ترویجی منظر, 4(21), pp. 40-43. غفوری, عطیه. امتداد منظر روز در شب؛ برنامه‌ریزی منظر شبانه در پاریس. مجله علمی-ترویجی منظر, 1391; 4(21): 40-43. در سه قرن اخیر، بسیاری از مردم دنیا، پاریس را به عنوان شهر نور می‌شناسند؛ این شهر در ابتدا به دلیل آنکه در عصر روشنگری مهم‌ترین مرکز آموزشی اروپا به شمار می‌رفت و بعدها به دلیل نورپردازی شبانة خیابان‌های آن به این نام مشهور شد. شب‌های پاریس روشن و زیباست. این زیبایی که برآمده از توجه به شدت نور و رنگ آن و انتخاب‌های دقیق و حساب‌شده برای روشنایی معابر و نورپردازی المان‌های تاریخی و بناهای مهم است، تصویری رویاگونه از شهر در ذهن مخاطبان بر جای می‌گذارد. 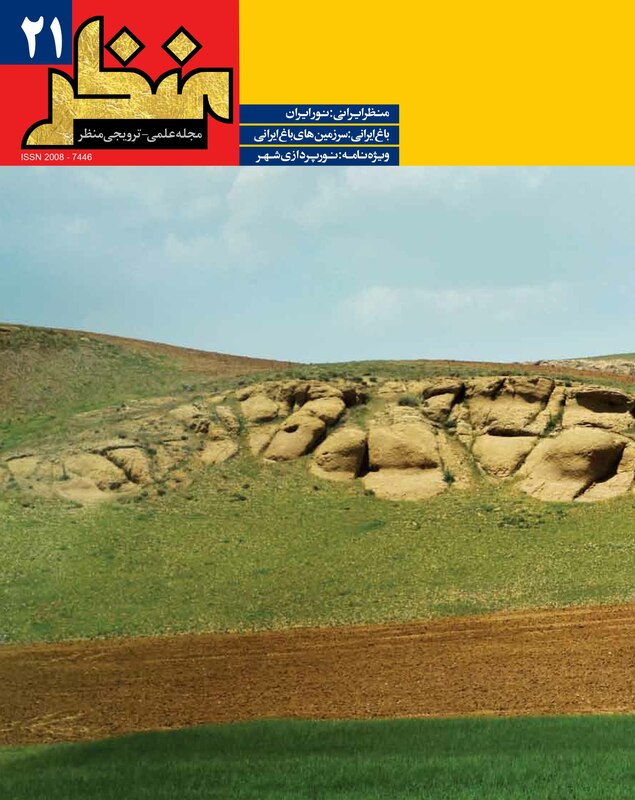 در سال‌های اخیر، توجه دولت به مسئله مصرف انرژی و حفظ محیط زیست در راستای برنامه جهانی کاهش 20 درصدی تولید دی‌اکسید کربن تا سال2020 میلادی، محدودیت‌هایی در روشنایی معابر و بناهای عمومی و خصوصی اعمال کرده است. عده‌ای معتقدند این محدودیت‌ها سبب می‌شود پاریس لقب افسانه‌ای خود را از دست بدهد. .D Candidate in Urban Studies, university of Strasbourg, France. Through the last three decades, Paris has been known as "La Ville-Lumière" ("The City of Light"). Paris owes this name firstly to its fame for being in the centre of education and ideas during the enlightenment age which gathered many writers and artists of that era. But later on, Paris become famous for its early adoption of street lighting and this event made the city’s identity; an identity which has continued till today and has become a pretext for lighting to be considered as a specific guideline. In this city, the historical and main public buildings are decorated with lights very delicately and carefully and these illuminations make Paris nights so poetic and full of romance. Paris night lighting was launched since 1318 and its initial purpose was to bring security to the dark areas. It took about 2 centuries for Paris bourgeoisie to accept to pay for lighting candles at houses’ windows in the parliament area. In 18th century Paris lighting system was by oil-lights. These kinds of lights were transformed to gas-lights at late 19th. Nowadays, Paris nights light with about 200 thousand sources and 304 sites (monuments, hotels, churches, bridges, statues, public buildings and waterfronts) are illuminated. The electricity for lighting the city costs about 12 million Euros per year and a large part of the Paris budget is allocated to that. Providing security, beauty and creativity ,identity and harmony with the context, persistence and sustainability, saving energy, environmental protection, visual comfort and light pollution control, modifying the day views, flexibility and change according to the time and adapting to the needs of users can be mentioned as nightscape design principles outlined in the Paris. Policies for urban lighting design in Paris have created a nightscape which identically belongs to this city. Paris nightscape, despite being formed based on lighting the day landscape, makes a different image of the city in the remembrance of visitors. This image varies at different times of the year. Creating vitality and shine in general view of buildings (especially historical buildings) in contrast with the daily figures which is somewhat neuter and colorless, emphasizing on landmarks and signs in the urban landscape, controlling the light pollution in order to avoid visual confusion, using colors in lighting (especially in occasional lighting) with various techniques and performing various special images by lightings monuments in the national celebrations and events. Keep the title "City of Light" as an identity for Paris nights has been made possible by the enormous economic cost, expertise and management. Despite the restrictions made by government programs to reduce energy consumption and air pollution (carbon 2020 program), this identity does not seem to be altered. Planning for optimizing the Paris lighting system is being compiled based on two criteria, "time" and "need", with an emphasis on creative answers and coordination with the city night life. These innovative solutions will add more richness and beauty to Paris nights in the coming years.